Want one-on-one help from a former admissions officer? 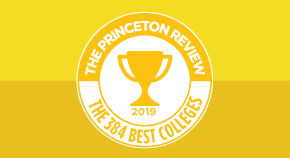 Our College Counselors can help you find, apply, and get accepted to the best schools. Make every dollar count. Explore 200 high quality schools with reasonable tuition and great financial aid. College applicants and their parents weigh in on their #1 dream schools, college admission challenges, and more. Our profiles of California colleges are packed with essential info, including tuition and acceptance rates. Are you an aspiring video game designer? Launch your gaming career at one of these top 50 programs. Ready to start your own business? These schools will give you practical experience for real-world success. From rolling hills to soaring skyscrapers, explore the best schools from coast-to-coast. Lead a green college life with schools committed to sustainability, conservation, and even zero waste. These 50 colleges help students jump-start satisfying and meaningful careers. From computer science to psychology, we share the best places to study and what that first job will bring. Our college counselors help high school students find, apply to and attend the right colleges for each student. From guaranteed scholarships to merit scholarships, learn how better SAT and ACT scores can earn you BIG awards. Is Your GPA Holding You Back? Your GPA is the most important factor in college admissions. Learn how to calculate your GPA and get the GPA you want. Competitive colleges use the letter of recommendation to assess your passions, goals, and character. The trick to getting a great letter is planning ahead. Check out our list of the best college majors based on job prospects, alumni salaries, and popularity. Each of these majors offers unique intellectual challenges.